BIGGER numbers than ever have packed the centre of Athens for the seventh night of the real democracy protests. 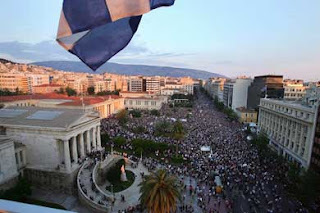 Reports From the Greek Streets: "According to corporate media and blogs, about 50,000 people participated in the rally in Syntagma Square. "Thousands of people still there at the moment. Earlier the rally surrounded the parliament and a lot of demonstrators blockaded the gates. "According to corporate media, police hesitated to attack to the people who blockaded the entries out of fear for riots from such a large crowd of people. "So several MPs who had been trapped in the parliament had to leave the building from the back door through the national garden, while others had to leave the parliament after midnight, when the gates were not blockaded any more. "People who noticed the ‘escaping’ MPs start chanting ‘thieves!’ ‘thieves!’. Earlier, professors of the University of Athens gave public speeches on the Propylea of the university in front of thousands people, supporting the rally of Syntagma. "The speakers and the crowd marched from Propylea to Syntagma and merged with the ongoing rally there, while the people’s assembly of Syntagma Sq. carried on for seventh night." An interesting first-hand account of the Athens occupation can be found on From the Greek Streets. Enthusing about the revolutionary potential of the movement, the author berates anarchist comrades who have so far snubbed the protests as not being radical enough. He writes: "Since I was 15 I have taken part in school and university occupations, general strikes, anti-war movements, anti-racist actions and riots, many times with excitement and enthusiasm. "Together with December, this movement fulfils me like no other. I feel sorry for those who have not seen it. I am sad for those who have misunderstood it. More than anything I feel bad for my comrades who have not tasted the wonderful, irreplaceable nights of Syntagma. "Comrades, get over your stuck-upness and wholeheartedly embrace this movement!" The Greeks are calling for a European or even global day of action for this Sunday, June 5. Meanwhile in Madrid, where protesters remain in la Puerta del Sol, there has been a call for a global day of action on Saturday October 15. PRO-DEMOCRACY protesters and celebrating football fans merged convivially in Barcelona this weekend, despite scaremongering by the authorities. The anticipated celebrations if the Catalan team beat Manchester United to win the Champions League had provided a pretext for Friday's brutal attempted clearing of the occupied Plaza de Catalunya. But after the side's impressive victory, it turned out that there was plenty of room for everyone. 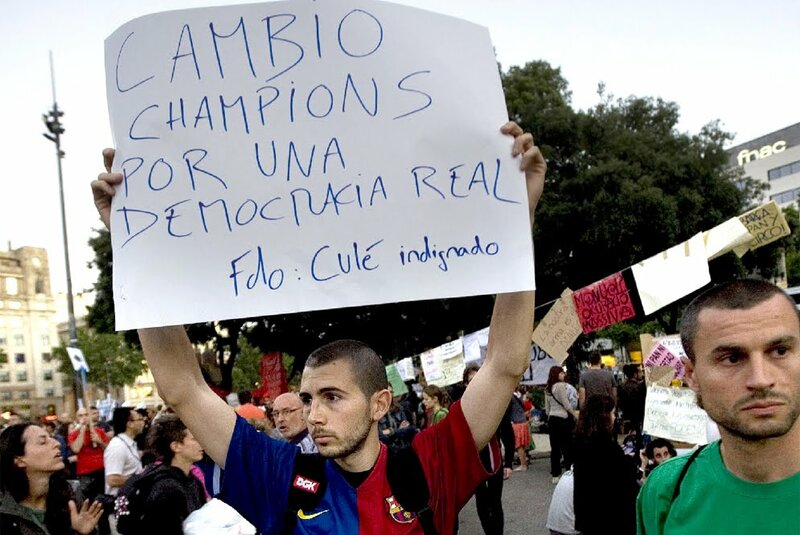 It also emerged that, of course, some indignados (protesters) were also culés (Barcelona fans) as this photo from El Pais shows. SPANISH protesters remain defiant after a brutal attack by police on the camp for real democracy in the centre of Barcelona on Friday. Horrific scenes of riot cops truncheoning peaceful demonstrators, many sitting on the ground, have been seen by millions on the internet. They have also sparked a new mood of determination among the thousands who have been out on the streets across Spain for the last two weeks, protesting at fake neoliberal 'democracy'. Not only was the camp at plaza Cataluña quickly rebuilt after the police attack, but solidarity actions were held elsewhere. El Pais reports that in Andalucía, thousands of people protested in various towns and in Seville the campers, who had held a three-minute silence, announced their intention to stay on in the city centre indefinitely. The "indignados" in Valencia outside la Delegación del Gobierno decided to take over the calle Colon in the city centre to stage an impromptu march. Widespread support was shown for the Barcelona protesters - from Vitoria and Bilbao in the Basque Country to Palma in Majorca and Las Palmas in the Canaries, reports the paper. In Logroño people expressed their anger at the "violent, disproportionate and unjustifiable" actions of the police. In Santander, around 500 people gathered with flowers in the Plaza Porticada and held a minute's silence, with a similar event in Plaza del Castillo in Pamplona. 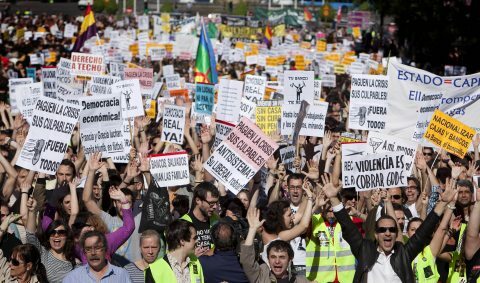 A thousand people turned out in Santiago in Galicia and more than 500 in Murcia, Oviedo and Gijón, with further protests reported in Zaragoza and various smaller towns all across the country as the shockwaves spread from the sight of police brutality reminiscent of the Franco regime. 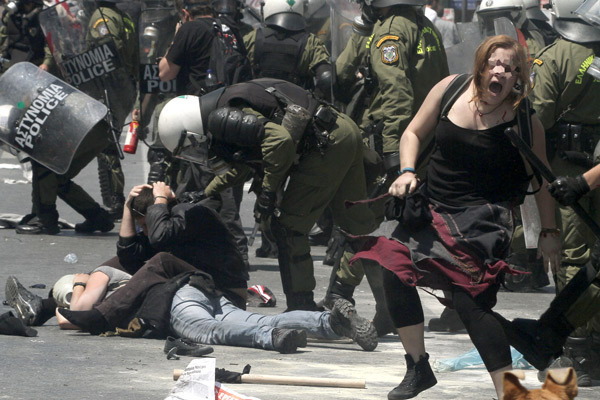 In Greece the new revolutionary movement has also taken hold in a big way. The blog From the Greek Streets has videos from Athens and reported: "Today there were as many people as yesterday at the square; many are organising and determined to stay, indefinitely. "There have been at least nine working groups formed up (general coordination, cleaning, cooking, translation/ media, technical support, legal support, medical aid etc). "The fascists were few and isolated by the huge crowds. Come to Syntagma, everything’s changing right there, right before our eyes." Pro-democracy protests are also being called for cities all across France on Saturday night. THE EMPOWERING spirit of the #spanishrevolution - itself inspired by Egypt's Tahrir Square - has spread to Greece, taking opposition against neoliberalism there to a new level. Reported From the Greek Streets: "In a series of demonstrations and gatherings unseen in Greece’s recent turbulent history, tens of thousands took to the streets demanding for 'all politicians to go', in a call similar to the one that shook Spain only a few days ago. "In Athens, approximately 20,000 took to Syntagma Square; in Thessaloniki, approximately 5,000 gathered in front of the city’s white tower. Many thousands gathered in Patras, Volos, Chania, Ioannina and Larisa, and other cities." A later update from Syntagma Square on Wednesday night said: "Thousands seem to prepare themselves for spending the night at the square with tents and folding beds. "An impromptu popular assembly finished earlier on; people gather in groups, discuss, approach the parliament in turns shouting slogans. There will definitely be many of them here in the morning." Meanwhile, further East, the Georgian authorities used brutal force to break up an anti-government protest. The so-called 'silver revolution', so named because of the older age groups involved, had demanded the resignation of US-backed president Mikheil Saakashvili. TENS of thousands of protesters are still occupying the Puerta del Sol in the centre of Madrid, even though media outside Spain are trying to pretend nothing is happening. 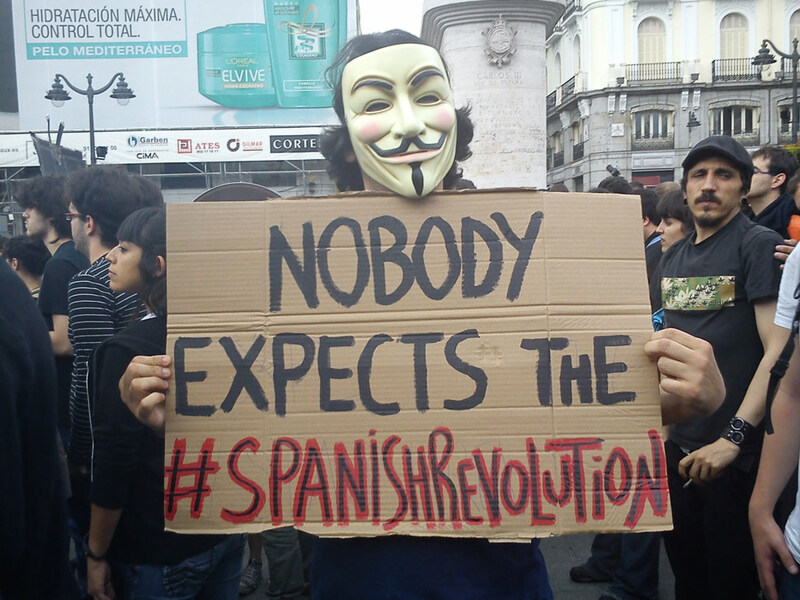 With the #spanishrevolution declaring its opposition to fake democracy, to corruption and neliberal economics, its message was never going to go down well with corporate news outlets. Despite camps springing up all over Spain and in other countries across Europe and the world, the uprising is being largely denied the 'oxygen of publicity' by the capitalist propaganda machine. A first-hand report posted on UK Indymedia details some of the protest signs covering the square, giving an insight into the movement's direction. "No puede volver a dormir tranquilo aquel que alguna vez abrio los ojos says one small poster – once you’ve opened your eyes there’s no way you can go back to sleeping peacefully. "El sistema politico es un fraude, el sistema economica es un robo says another – the political system is fraud, the economic system is theft. "Banqueros + politicos = mafia legal says another, which doesn’t require any translation. "Si hay futuro, pero solo si luchamos por el – yes there is a future, but only if we fight for it. "Un pueblo organizado no vota, decide – an organized people doesn’t vote, it decides." The report adds: "This vibrant and determined pro-democracy movement means it for real. "Ha nacido en Sol un nuevo nosotros says a banner – a new ‘us’ has been born in Sol. "Madrid sera la tumba del neoliberalismo adds another – Madrid will be the tomb of neoliberalism. "And there’s even one in English for those of you at home – ‘People of Europe rise up!’"
A TIDE of people power is sweeping Spain - and threatening to spread across Europe - as pro-democracy protesters defy the authorities. While mainstream corporate media have been slow to catch up with the importance of the anti-neoliberal anti-election movement on the Iberian peninsula, word is now getting out. The international inspiration the Spanish 'revolution' has provided can be seen at this website bringing together information from many different countries. On the sixth day of demonstrations against unemployment in Spain, protesters in Madrid and Barcelona tell Channel 4 News they will continue to protest despite a mooted ban. Demonstrators young and old vowed to continue protesting against unemployment - now a staggering 4.9 million and the highest in the eurozone at 21 per cent - after this weekend's local and regional elections. Mass protests have sprung up in more than 60 cities across the country, in Madrid, Barcelona, Cordoba, Murcia, Valencia, Zaragoza, Tarragona, Salamanca, Sevilla, Malaga, Cadiz, Oviedo, Santander and Bilbao to name a few. The pledge to continue the demonstrations came after the governement's electoral board ruled on Thursday that protests would be illegal on Saturday, the eve of elections when Spaniards will choose 8,116 city councils and 13 out of 17 regional governments. But beleaguered Prime Minister Jose Luis Rodriguez Zapatero, whose approval rating has plummeted to lower than three out of 10, said he may not enforce the ban that could provoke clashes. "I have a great respect for the people protesting, which they are doing in a peaceful manner, and I understand it is driven by economic crisis and young people's hopes for employment," Mr Zapatero said. Dubbed "los indignados" (the indignant), tens of thousands of Madrilenians have turned out for six consecutive days, and many have remained overnight, in the capital's main square of Puerta del Sol. They insist that they are not demonstrating against Zapatero, his Socialist party, or indeed any political party. They wave placards reading: "There isn't enough bread for so much chorizo" (the word "chorizo" colloquially means "thief" in Spanish), "You can camp to see Hannah Montana, but not to defend your rights," and "Sol is our Tahrir Square", referring to the ground zero of Egypt’s revolution. Alicia, an unemployed psychologist, has remained in Sol since Sunday. She told Channel 4 News: "This is not specifically a movement against the current government. It's against the system. Against the way bankers and large businesses have been given carte blanche to do as they wish. "I get a feeling some people think it's a movement to kick out Zapatero from power and get the People’s Party (the centre-right opposition party, led by Mariano Rajoy). It is not. It's a movement against politicians of any sign who look after their interests rather than ours, who embark on absurd electoral campaigns where they bring up irrelevant issues to try to win voters and attack their opponents, when we're more concerned about getting a job and getting back our earning power." The protesters insist that political parties, as well as the right-wing media, have used the demonstrations as political ammunition going into the weekend's polling. "Right-wing radio stations are saying that the protesters were trained by ETA and are ETA sympathisers, that we were being paid by the left-wing parties. They've said that we were meeting in Sol because the regional PP government is based there. This is ridiculous: Sol is the centre of Spain, where you find 'kilómetro cero'," said Alicia. "The television channels tend to film the stereotypical young, dreadlocked protesters and not the unemployed older men in suits or the OAPs or the disenchanted university graduates, and that doesn't do the movement any favours." In Madrid and Barcelona, demonstrators have claimed that uniformed police and plain-clothes officers have used excessive force against demonstrators at night. Miguel, an unemployed architect living in Barcelona, told Channel 4 News that plain clothes policemen were attacking those camped out in the city's Plaza de Catalunya. "They come when many people for left for the night to get rest before returning in the morning. "They are wearing normal clothes, often dressed like many of the protesters, with protest slogans on their t-shirts, and break the tents up, waking people up and dragging them out of the square. "Some of the people have said they were hit with batons when they refused to move. We are worried that if Zapatero does not reverse the decision to ban protests, people will get hurt because we will not be moving." Real Democracy Now, the online group which has organised the protests, said that police had acted "excessively" in Madrid. A press release read: "According to information available to us… the actions of peaceful civil disobedience protests [were responded to by] the State Security Forces acting excessively. We condemn the brutal police repression and show our solidarity with those injured and the unreasonably detained for acts of peaceful resistance without any provocation, for which we demand the immediate release without charge." THOUSANDS of people defied both the protest ban and heavy rain to again occupy la Puerta del Sol in the centre of Madrid over Wednesday night. Workers, unemployed people and pensioners joined young people in calling for an end to neoliberal 'austerity' measures and a democratic system based on the needs of people, rather than economics. Spanish newspaper El Mundo explained that when the majority of protesters left the square at midnight, hundreds of young people again stayed on throughout the night, in a powerful gesture echoing the Tahrir Square occupation in Cairo. Food was distributed free to anyone who wanted it and, while the weather put paid to the planned general assembly, debates were held on the future of the May 15 Movement for real democracy. El Pais said that the protests had taken a big step forward. Whereas on Monday and Tuesday they had attracted younger people via social networking sites, on Wednesday older people arrived, having heard about the movement through traditional media. The newspaper described a sense of 'indignation' in the air and thought it unlikely that the protests, which have also been happening across the country, would disappear before Sunday, which is a day of local elections. The protests have also been featured on Fox News Latino. The site reports: "Chanting a cry of resistance from Spain's 1936-1939 civil war, thousands of mainly young people thronged this capital's emblematic Puerta del Sol square Wednesday night in defiance of a ban on demonstrations ahead of weekend regional and municipal elections. "Demonstrators also shouted slogans expressing disgust with both the governing Socialists and the main opposition conservative Popular Party. "Police, who forcibly evicted some 150 protesters from the area early Tuesday, stood by as the activists vowed to resist peacefully if authorities tried to dislodge them." 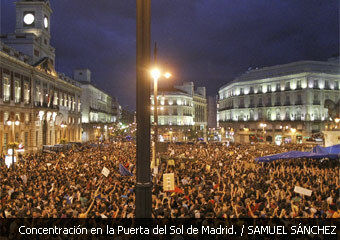 BREAKING NEWS: The authorities in Madrid have banned the mass pro-democracy protests in la Puerta del Sol. Clearly frightened of the surge of people power witnessed over the last couple of days, the local Electoral Junta has declared the gathering illegal. The aim tonight will presumably to frighten off casual protesters and then use the police to attack anyone who dares defy the ruling. Already it is being reported that police are packing out the Metro system, demanding people's ID and using loudspeakers to announce the protest has been prohibited. Once again, the facade of western neoliberal 'freedom' is exposed as a lie. When the capitalist system feels under threat it will always resort to its monopoly of violence, even against specifically non-violent dissenters. The hypocrisy of condemning the regimes in Libya and Syria for behaving in exactly the same way is simply staggering. The Vast Minority urges our fellow freedom-fighters in Madrid to resist for all they are worth - tonight and every night. For latest information follow #spanishrevolution (or, with rumours that this is being censored, perhaps #nonosvamos - we're not going) on Twitter. Spanish media reported that at least a thousand people, of all ages, returned to la Puerta del Sol in Madrid on Tuesday night - this time they were not attacked by police. The people's assembly there decided to keep meeting every night at 8pm and keep the street revolts going until at least Sunday (a day of local elections), with the view of staging an even bigger mobilisation on Friday and Saturday. Similar scenes are unfolding across the country. This enormous wave of protest, of which young people have been at the forefront, is clearly of huge significance for both Spain and Europe. Despite this - or perhaps because of it - the movement is thus far receiving virtually no press coverage in the English-speaking world. 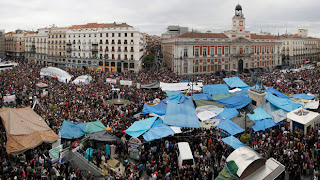 One of the few reports, on Euronews, stated: "Hoping to repeat the success of Egyptian people power, various groups in Spain have occupied Madrid’s main square of 'Puerta del Sol'. "Students, workers and the unemployed have called their protests the May 15 movement signifying when they first came out onto the streets in 50 cities across the country. "Like the Arab Spring activists they use twitter and the internet to rally support. "Calling for fewer police and more education the demonstrators say their arms are their weapons. 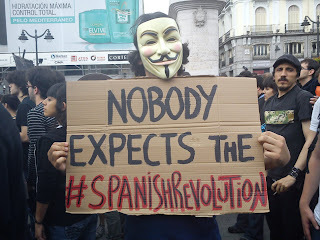 "Discontent with Spain two-party system and the country’s high unemployment rate has galvanised the disparate groups. "While mainly peaceful there have been some clashes with police and an several arrests." Supporters of all nationalities are urged to meet at Sloane Square tube station at 7pm every night from Wednesday May 18 to Sunday 22 to march on the Spanish Embassy. Protesters calling for a new political system have been taking to the streets of Spain over the last few days, organising via Facebook and Twitter hashtags such as spanishrevolution and acampadasol. In an echo of the Tahrir Square protests in Egypt, they have been camping out overnight in prominent public spaces. Although they have adopted a non-violent approach, the Spanish state has, of course, not followed suit and police violently evicted young dissidents from La Puerta del Sol in Madrid. In response, the protesters - who reject all the mainstream political parties in the name of real democracy - called a new protest at the central square for this evening (May 17). Protests were also called for la plaza de Cataluña in Barcelona, for Huelva (plaza Antiguo Colombino), Sevilla (plaza de la Encarnación), Málaga (plaza de la Constitución), Granada (paseo del Salón), Murcia (avenida Glorieta I), Alicante (plaza de la Montañeta), Valencia (plaza del Ayuntamiento), Palma de Mallorca (plaza de España), Vigo (calle del Príncipe), Gijón (plaza del Ayuntamiento), Santander (plaza Porticada), Burgos (plaza Mayor, Las Palmas in Gran Canaria and Santa Cruz in Tenerife, among others towns and cities. There were also calls for a camp outside the Spanish embassy in London. MORE cars have been torched in Berlin as part of an ongoing war on the capitalist system. The Direct Action in Germany website reports that the latest attacks took place in Friedrichshain and Prenzlauer Berg at the weekend (May 14). Thanks to a fire in the Frankfurter Allee three cars and a motorbike were wrecked, while in Prenzlauer Berg a Jaguar was torched and in the Diestelmeyerstraße in Friedrichshain another vehicle was gutted. NEW battlelines are being drawn up in the global civil war of the early 21st century. Neo-fascist street thugs are increasingly being mobilised by the neoliberal system to physically attack rebels. In the UK this has been evident in the way that the EDL has moved beyond its original "anti-Muslim" justification to call for attacks on anti-capitalist protesters. This week Greek neo-fascists not only killed a young Bangladeshi man but also helped riot police in their brutal assault on protesters during the general strike. Reported From the Greek Streets on May 12: "During the last few hours, Neonazis have attempted to carry out anti-migrant pogroms in central Athens. "Clashes between anti-fascists and migrants, on the one side, and fascists and riot police on the other side take place in the centre of the city while the rally in Propylea is starting. "At about 18:25 several dozens of fascists assisted by riot police units attempted to attack the Villa Amalias squat near Victoria Square. "The squatters defended Villa Amalias succesfully and forced the Nazis off the streets. Riot police responded with tear gas in order to make way for the Nazis to escape. Earlier in front of Athens School of Economics Nazis were chased by anti-fascists." Meanwhile, American academic William I Robinson this week also warned of the fascist nature being adopted by the ruling system. He wrote on Al Jazeera: "A 21st fascism would not look like 20th century fascism. Among other things, the ability of dominant groups to control and manipulate space and to exercise an unprecedented control over the mass media, the means of communication and the production of symbolic images and messages, means that repression can be more selective (as we see in Mexico or Colombia, for example), and also organised juridically so that mass 'legal' incarceration takes the place of concentration camps. "Moreover, the ability of economic power to determine electoral outcomes allows for 21st century fascism to emerge without a necessary rupture in electoral cycles and a constitutional order. "The United States cannot be characterised at this time as fascist. Nonetheless, all of the conditions and the processes are present and percolating, and the social and political forces behind such a project are mobilising rapidly. "More generally, images in recent years of what such a political project would involve spanned the Israeli invasion of Gaza and ethnic cleansing of the Palestinians, to the scapegoating and criminalisation of immigrant workers and the Tea Party movement in the United States, genocide in the Congo, the US/United Nations occupation of Haiti, the spread of neo-Nazis and skinheads in Europe, and the intensified Indian repression in occupied Kashmir. "The counterweight to 21st century fascism must be a coordinated fight-back by the global working class. The only real solution to the crisis of global capitalism is a massive redistribution of wealth and power - downward towards the poor majority of humanity. And the only way such redistribution can come about is through mass transnational struggle from below." FURTHER protests are planned in Greece after a brutal attack by riot cops on demonstrators during the May 11 general strike. One 30 year old protester, Yiannis K, is in a coma and fighting for his life after the vicious assault by hired thugs of the Greek state and neoliberal system. Said a statement from members of the assembly of resistance and solidarity of Kypseli/ Patision: "On Panepistimiou Ave, between Voukourestiou and Amerikis Str, while the demonstration was coming back from Parliament, the police launched an organised and coordinated attack with their obvious aim being the self-organised and counter-consensual blocks: the people who struggle 'from below'. "At that moment, the neighbourhood assemblies (Kypseli/Patision, Vyronas/Kaisariani/Pagrati), the base union of the waiters/cooks, the anarchist assembly for social self-determination, student unions and others were encircled and beaten by numerous Riot Police (MAT) units. 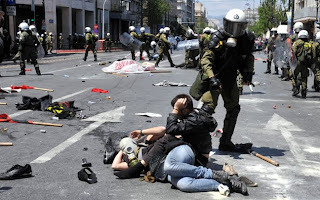 "Us who were marching along with Yiannis holding the banner of Kypseli with him, found ourselves in an asphyxiating pen by Riot Police who would strike demonstrators, with their batons turned upside down, in the head and their bodies, throwing many to the ground. At the same time they threw tear gas and stun grenades directly into the crowd. "The result was for tens of people to be seriously injured, many of which were taken to hospital. Among them was Yiannis K. who while bleeding from the head was taken away from the point of the attack thanks to the help of a fellow demonstrator. He was received by the Ambulance Service and transferred to the Nikaia Hospital where he undertook surgery. "At this moment Yiannis is fighting for his life because he chose the path of collective resistance, solidarity and struggle, against the exploitation, the poverty and fear enforced by the bosses, against their terrorism, against defeatism and passivity. Yiannis’ struggle belongs to all of us!" A demonstration has been called for Thursday, May 12th at 6pm, at Propylea, Athens. THOUSANDS of Greeks will take to the streets on Wednesday May 11 in a general strike and day of protests against neoliberal rule. And live updates will be provided during the day by the excellent From the Greek Streets blog. 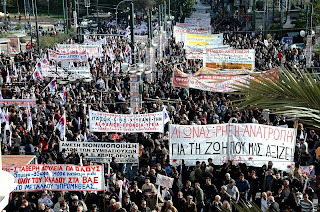 Reports The International Business Times: "Greek labor unions, students and others are planning massive a nationwide rally and general strike for tomorrow to protest the government’s austerity budget and deep spending cuts, as well as the imposition of European Union (EU) and International Monetary Fund (IMF) onto the country’s affairs. 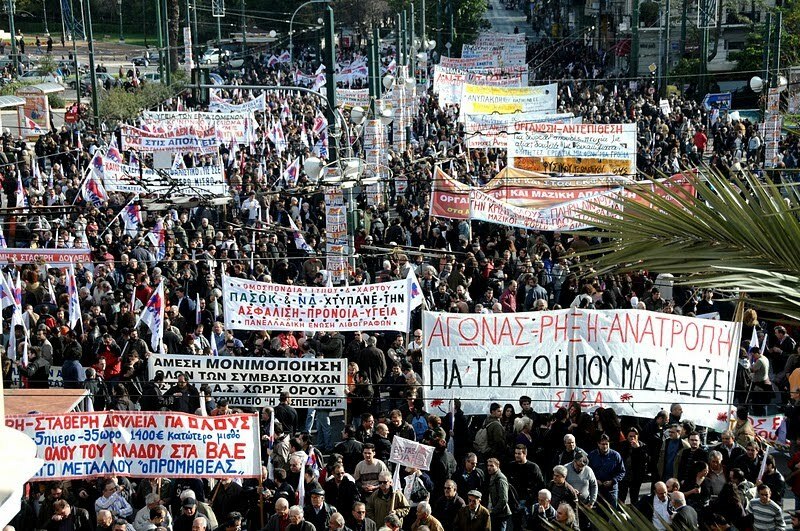 "Two of Greece’s largest unions General Confederation of Greek Workers (GSEE) and Adedy will lead the strike. 'The strike is the workers' response to the problems faced by the unemployed, the workers and the pensioners who, according to the national plan on the economy, are again the ones who are called to pay the bill,' GSEE President Yiannis Panagopoulos stated. "Last year, the Greek government accepted a huge 110-billion euro bailout from the EU and IMF to rescue its economy and reduce its tremendous national debt and budget deficit. In exchange for the loan agreement, the government of Prime Minister George Papandreou has imposed draconian budget measures, including social spending reductions, increased taxes, a freeze on wages for state workers, and public job cuts, among many other items." A WEEK of activities against the European border agency, Frontex, is being staged in Poland from May 15 to 23. Says the campaign website: "The agency has their seat in Warsaw, Poland, from where it directs its activities. "It is a common misconception that Frontex is an actual border police, with a staff in uniform tasked to physically police the borders of the EU. "Rather, Frontex is a coordinating mechanism of the European Union organizing the cooperation of the border police bodies of the member states of the EU. "In this respect, Frontex is like a meta border police: it is both above and behind the everyday practices of border guards. "To this end, Frontex combines a lot of tasks and activities in one body that in the traditional nation state have been kept separate. "There is an intelligence service component: Frontex actively monitors and pools data about all that is going on at the external borders of the EU, so that predictions to movements of migration can be made. "Frontex refers to this as risk analysis, a whole department at the headquarters in Warsaw is busy with this and well connected to its national counterparts in Europe. "There is also a research division, which – in cooperation with military industries and universities – pushes for the high-tech-sci-fi border of the 21st century. "Current plans include real-time surveillance of the border on all levels, including live satellite imagery, the use of unmanned aerial vehicles (UAV aka drones, usually deployed in war zones like Afghanistan and Iraq) for close-ups, and all other tools at the disposal of a border guard: radar, cameras, etc. Another project is the introduction of biometric identity checks at all border crossings. "The main focus of Frontex, however, is the coordination of cooperation at the actual border, as they refer to it. Since the agency became operational, Frontex has organized so called 'joint operations', in which EU member states invite other EU member states to send border guard personal and equipment for a joint policing of the borders. "Recently, Frontex has also been more involved in the organization and financing of mass deportations, where a whole plane is chartered and refugees from all over Europe are collectively deported to their assumed countries of origin. In 2009, Frontex did more than 30 such flights, removing more than 1.500 people from European territory." 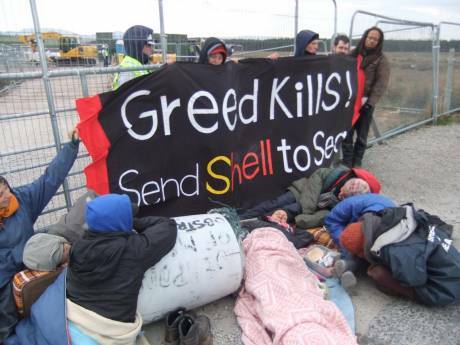 FOUR eco-campaigners were arrested at Rossport in Eire this week as work was stopped at Shell's compound in Aughoose for over seven hours. Says a report on UK Indymedia: "At 7am on May 4, two people from the Rossport Solidarity camp locked their arms together inside a plastic and concrete barrel, which had been placed directly in front of the gates of of the Shell compound. "This was eventually removed by 1pm by the Garda protest removal team. Following the removal of the lock-on, a tractor bringing borehole drilling rig to the Shell compound was stopped and two people climbed up on the tractor cab and the borehole drilling rig. "The Gardaí who had been mostly calm during the lock-on, became very aggressive and reckless, immediately climbing on the borehole drilling rig and dragging one of the people down in a dangerous and foreful manner. "The second person who was on the tractor cab was taken down about 30 minutes later again in a dangerous manner by having her hands handcuffed and her legs cable-tied and then being handed down a ladder by Gardaí. None of the Gardaí involved wore any ropes, harnesses or any safety equipment." ARTIST Banksy has backed the Bristol uprising against capitalism and police repression by producing a controversial new image. Reported the right-wing Daily Mail: "The anonymous street stenciler has produced limited edition prints of a brown bottle emblazoned in the food giant's blue and white 'value' colours. "The smoking device is stuffed with a flaming rag and labelled 'Tesco Value Petrol Bomb'. The artist will put the work up for sale just days after bloody battles over a new Tesco Express in the Stokes Croft area of Bristol - his home city. "It is believed profits from the £5 poster will go towards funding the legal defence for more than 30 rioters arrested following the two nights of violence. "Details of the drawing were released on the Banksy Forum website today, accompanied by a statement of behalf of the illusive artist. It also appeared on his own website - a sign the work is authentic. "The statement read: 'After the recent Tesco riots in Bristol, Banksy has produced this fine commemorative souvenir poster. 'It's available exclusively from Bristol's Anarchist Bookfair this coming Saturday. All proceeds go to the Peoples Republic of Stokes Croft and associates'." BRITISH police unlawfully killed bystander Ian Tomlinson during the anti-G20 protests in 2009, an inquest jury has ruled. The Guardian reports that the jury's verdict said Tomlinson's death came after he was "fatally injured. This was as a result of a baton strike from behind and a push in the back by a police officer which caused Mr Tomlinson to fall heavily. "Both the baton strike and the push were excessive and unreasonable. As a result, Mr Tomlinson suffered internal bleeding which led to his collapse within a few minutes and his subsequent death." The paper adds that their finding noted Tomlinson, a father of nine, was walking away from police, obeying orders and posed "no threat" when he was struck by PC Simon Harwood. Although the state is now reviewing the evidence for a possible prosecution of Harwood, perhaps for manslaughter, this may still not happen. It is clearly not in the interests of the authorities to punish cops for doing what they are told to do - ie, intimidate opponents of the neoliberal regime and frighten them off the streets. There seems even less likelihood that any action will be taken regarding the lies deployed by the police and their accomplices to hide the truth about Tomlinson's death from the public. The police habit not just of violence, but of of fibbing through their teeth and getting away with, it is well known to much of the public, hence the wave of online anger directed at Harwood after the verdict. 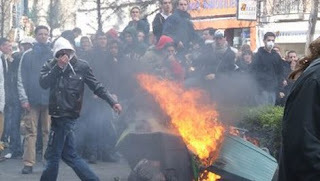 RIOTS broke out in a suburb of Paris over the weekend, after youths ambushed police. 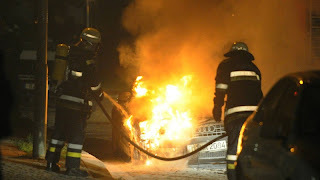 The cops and the fire brigade turned up in Sartrouville at 3am on Sunday to deal with three burning cars. French media explained this was a "trap" and they were set upon by 40 youths, who threw stones at them and damaged vehicles. Police then used teargas and "flashball" rubber bullets against the rioters. Bristol Stokes Croft Riot 28/4/11 from Culturfied on Vimeo. A SECOND night of anti-Tesco and anti-police rioting in Bristol has raised hopes of a long overdue insurrection against the neoliberal nightmare. Reports The Independent: "Police launched an eviction raid on a Bristol squat yesterday after riots raged for a second time in a suburb that has become a focal point for anger against heavy-handed policing. "More than 30 people were arrested after another night of violence in Stokes Croft, a bohemian suburb of Bristol that is vehemently opposed to the opening of a Tesco store. "Last week, a protest against the supermarket giant turned into running street battles as demonstrators clashed with baton-wielding riot officers. 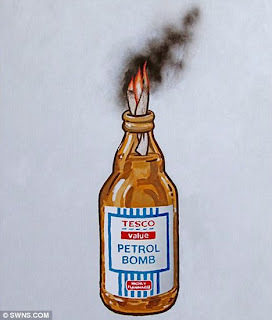 Somerset and Avon Police claimed they had uncovered a petrol bomb plot to attack the store but locals rubbished this and accused officers of using wildly disproportionate force to quell a peaceful anti-Tesco movement." State attacks against centres of dissent confirm the authorities are worried that a wave of resistance could sweep the streets of the UK this summer. 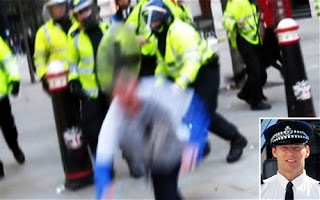 Says a report on the threatened UK Indymedia site: "With future May Days under threat, policing in the build up to this May Day has been particularly pernicious. "Operations were mounted against social centres, projects and activists as the MET and other forces engaged in a series of pre-emptive arrests. "In London raids took place at the Rat Star Social Centre, Offmarket Social Centre, nearby Petrosiege and The Community Project in Sipson (Grow Heathrow). "The Met were also involved in raids on squats in Brighton, and Telepathic Heights in Bristol - where a police raid caused last week’s Battle of Stokes Croft - was evicted, causing further disturbances. 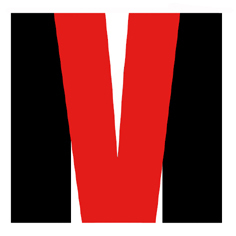 Indymedia reported that an arrest was made in Cambridge and one in Edinburgh after groups and individuals were raided in Scotland in relation to March 26."